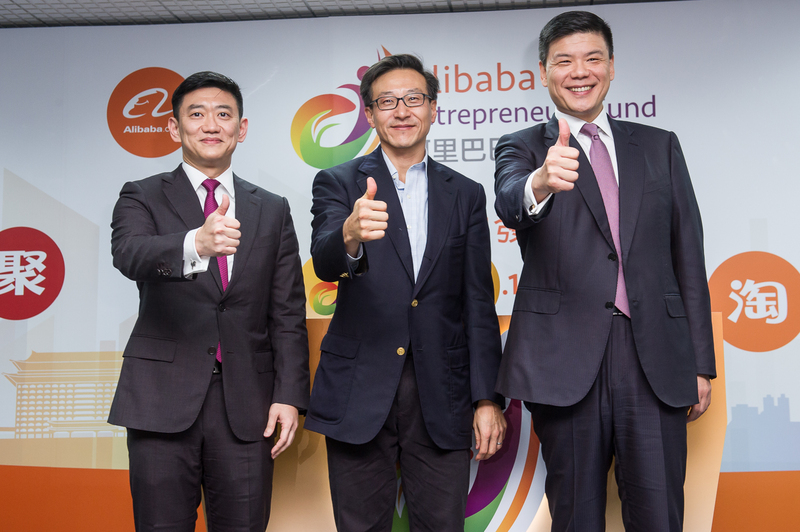 Taipei, November 19, 2015 – Alibaba Group Holding Limited (NYSE: BABA) today announced the official launch of its Entrepreneurs Fund for Taiwan, with the objective to support the aspirations of entrepreneurs who wish to take advantage of the resources offered by Alibaba's ecosystem in e-commerce, logistics, mobile platforms, cloud computing and financial services. The Taiwan Entrepreneurs Fund is a not-for-profit initiative of Alibaba Group. The mission of the Fund is to help entrepreneurs realize their dreams and visions for a Taiwan that is vibrant and engaged regionally and globally. The Fund will invest in qualifying companies in the start-up, growth and expansion phases of the company life cycle. Qualifying businesses will leverage the platforms in the Alibaba ecosystem to offer products and services to Greater China and the world. NT$10 billion has been earmarked for the Taiwan Fund. A number of accomplished business and community leaders will join the board of directors of the Fund. They will oversee the governance and provide strategic direction of the Fund. The board of directors of The Taiwan Entrepreneurs Fund includes Mr. Charles Yen, co-founder and principal of the AAMA Taipei cradle program, Mr. Joseph Tsai, senior executive vice president of Cathay Financial, and Mr. Danny Chiu, chairman and CEO, Morrison Express Corp.
Mr. Andrew Lee, former chief financial officer of EnTie Bank, will serve as executive director of the Taiwan Fund. Highly experienced in finance and management, Mr. Lee served international and Taiwan financial institutions. He specializes in fundraising, mergers & acquisitions, organizational development, and financial and risk management. "At Alibaba our mission is to make it easy to do business anywhere," said Mr. Joe Tsai, executive vice chairman of Alibaba Group. "We are passionate about fostering entrepreneurial spirit and hope the resources provided by the Fund will help unleash potential for innovation and entrepreneurship in Taiwan. I am delighted to have the support from the Fund's directors who share our vision and passion. Together we will help aspiring entrepreneurs realize their dreams." The Fund will engage independent professional firms (the "Investment Managers") to source and evaluate business proposals and manage the investment program. The Fund has selected its first Investment Manager, a subsidiary of China Development Industrial Bank, to manage a portion of the investment program and expects to make further selections of Investment Managers for the remaining portions of the program. With over 50 years' experience, China Development Industrial Bank's (CDIB) principal investment business commands 30% of the market share, giving it a leading position in Taiwan's market. In recent years, CDIB has been leveraging its strengths and experience accumulated over the years assisting companies in Taiwan to be actively engaged in fundraising and management of private equity funds and strive toward its objective of becoming a world-class private equity fund manager based in the Asia Pacific Region. Interested parties may visit the www.ent-fund.org for details about the investment programs.